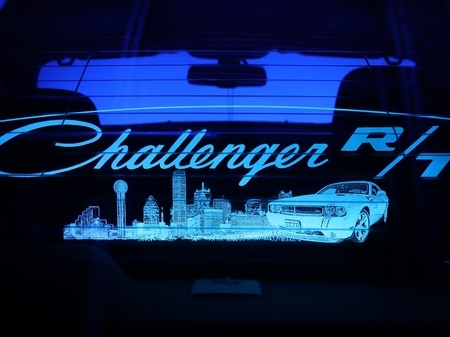 Custom design your interior glow plate for the 2008-2018 Dodge Challenger. This screen is not just for convertibles anymore. 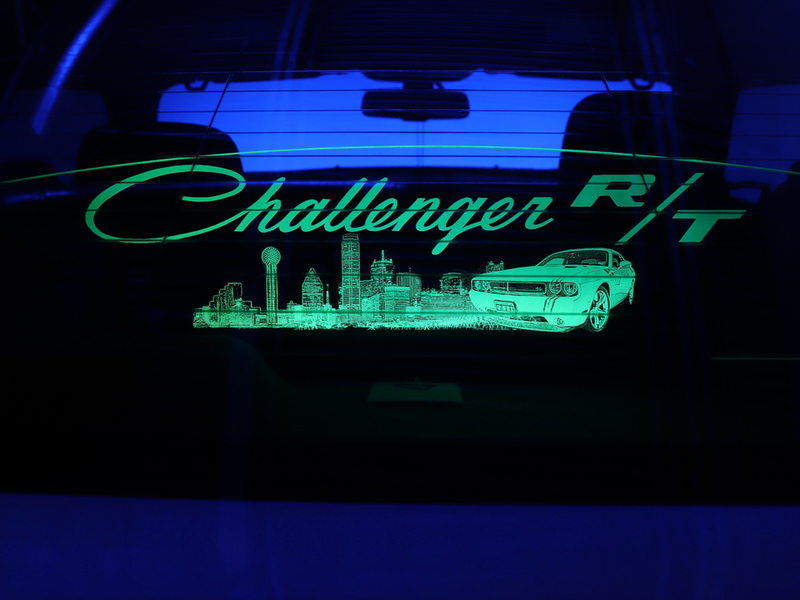 Wind Restrictor took out all stops on the custom display option for your modern Challenger. 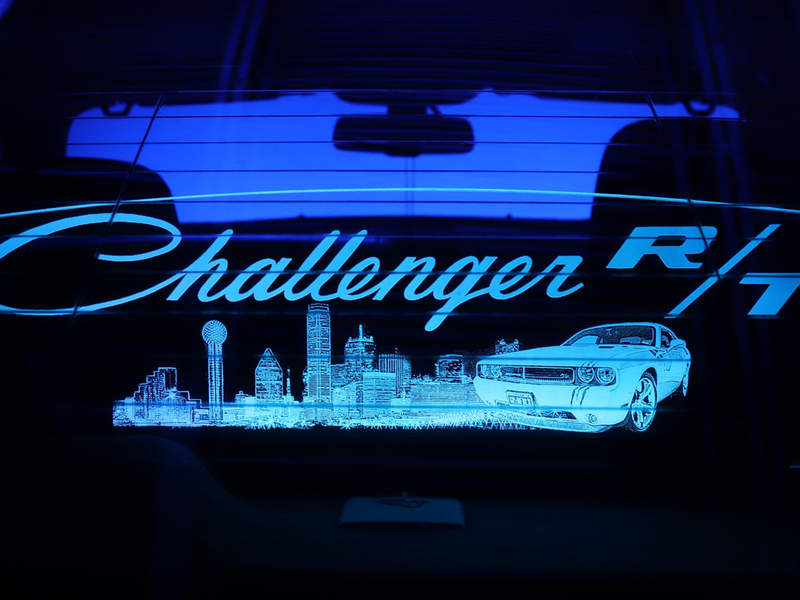 The glow plate will proudly display virtually any design you can come up with and illuminate your rear window as shown. One of the best interior light effects, Personalized graphics are designed by one of our in-house artists based on your idea or mock up files. You'll be able to work with them throughout the process and see your vision come to life! Simply put in the order and we will call you on your design. 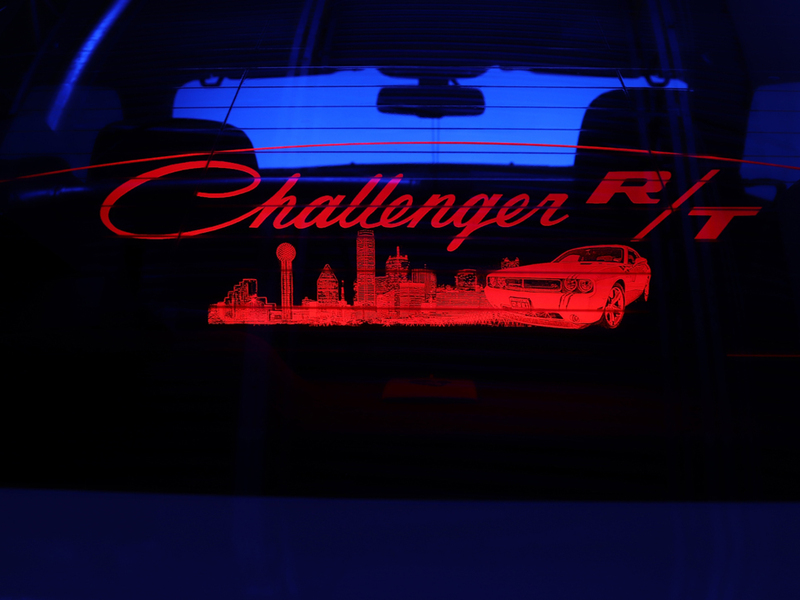 This WindRestrictor brand Glowplate for the Dodge Challenger will do just that!